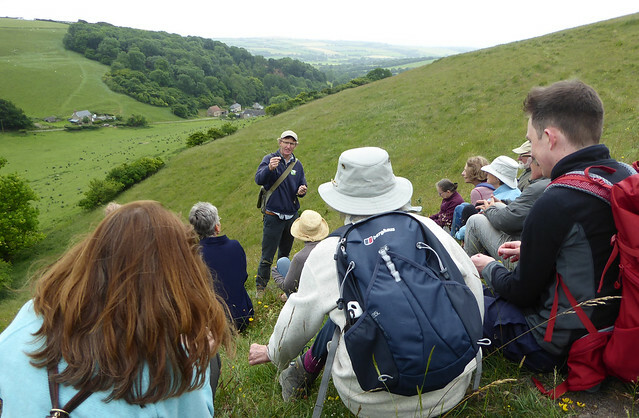 Last summer, on one of the hottest days of the year, I joined a walk led by Nick Gray of the Dorset Wildlife Trust through some traditionally managed meadows in Dorset’s Marshwood Vale. 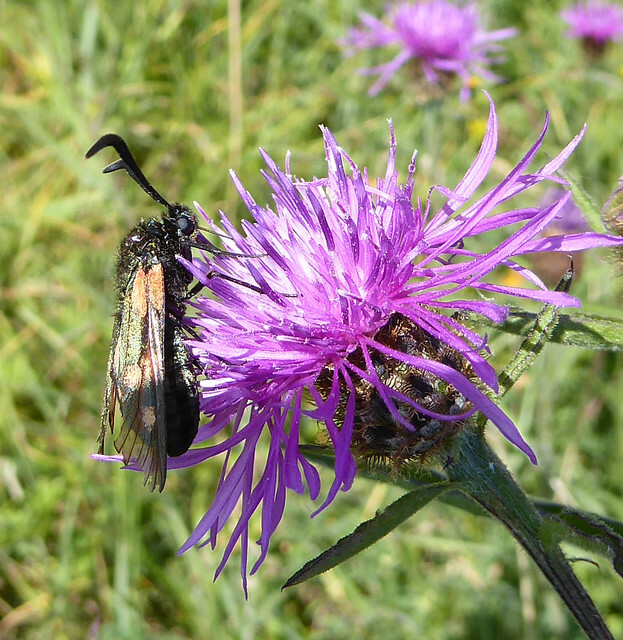 We found fields filled with lush grasses, colourful wild flowers and a profusion of insects. This outpouring of joyous, exuberant growth seemed to embody the essence of high summer and the walk turned out to be one of my wildlife highlights of 2018. We started from Babers Farm below the village of Marshwood and, after a short walk across several fields clad only in a veneer of golden stubble, we crossed a field boundary to enter another world. Here a thick carpet of knee-high grasses dominated the sward, still green despite the long spell of hot weather. Richly coloured flowers were woven into the grassy fabric and many small brown butterflies danced among the seed heads. A transient flash of orange was probably a silver-washed fritillary butterfly. 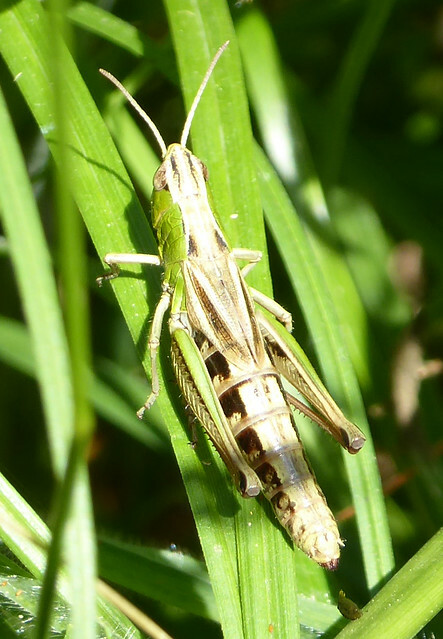 Grasshoppers leapt from the grass in broad arcs as we walked and brightly coloured insects fed from the flowers. As I looked up at the bowl of hills surrounding the Vale, a kestrel, pale brown in this brash light, swept silently across the field. It was the perfect summer moment. Perhaps it was a reaction to all the doom and gloom I had been hearing about our treatment of the environment and the resulting loss of wildlife? 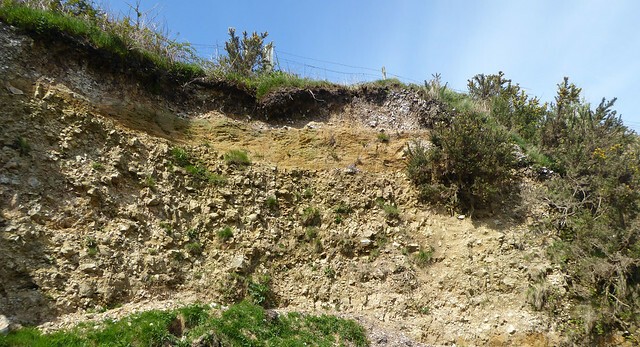 Perhaps it was a deeply buried childhood memory of family picnics among flowers on Dorset hills? Perhaps it was simply all the natural beauty around me? Whatever the reason, it felt, for a few moments, as though this was the only place in the world I wanted to be. 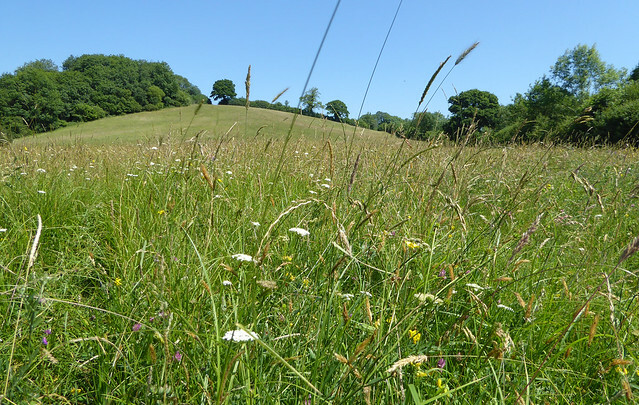 These meadows are managed under a higher-level stewardship scheme which pays for the loss of income incurred through traditional, less intensive land cultivation. 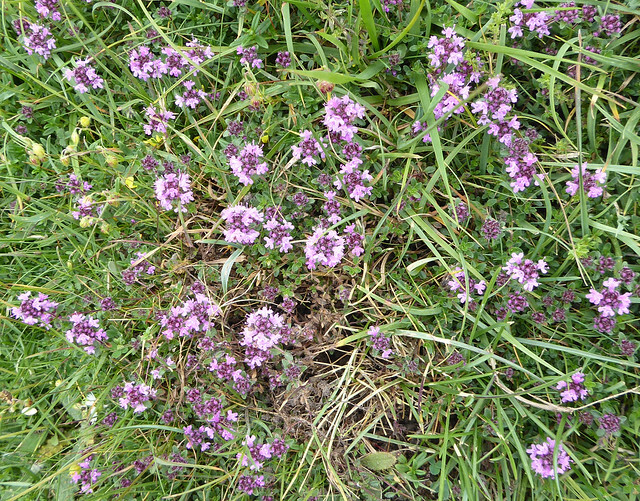 The meadow flowers and grasses grow during the warmth and wet of spring and summer and hay is cut and removed in mid-July when flowers have mostly set seed. The aftermath growth is grazed by animals in the autumn after which the land is left until the following spring. 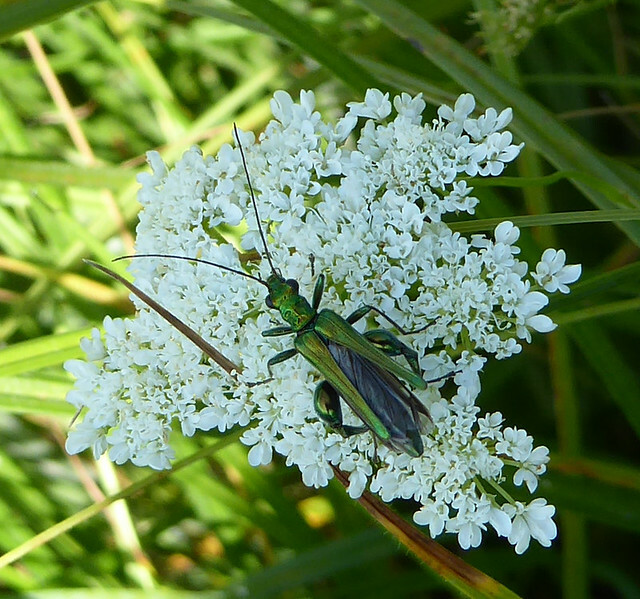 It was the last day of June when we visited and high summer sees these meadows liberally studded with the flattened white umbels of corky-fruited water dropwort, a member of the carrot family and a Dorset speciality but rare elsewhere. 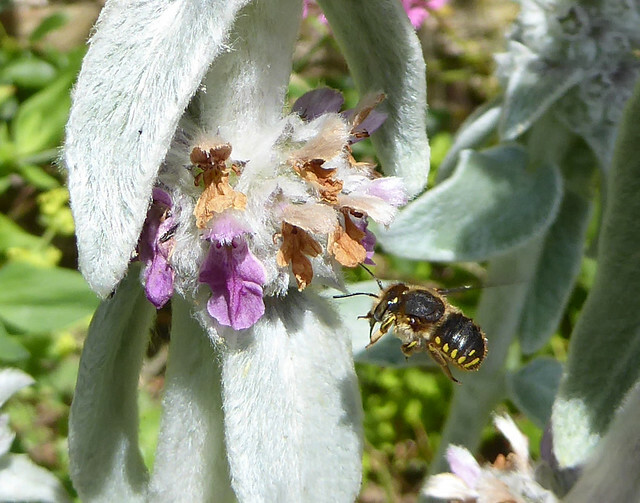 The flowers were very popular with insects, especially hoverflies which buzzed loudly in small groups while hovering by the flowers in a courtship display. 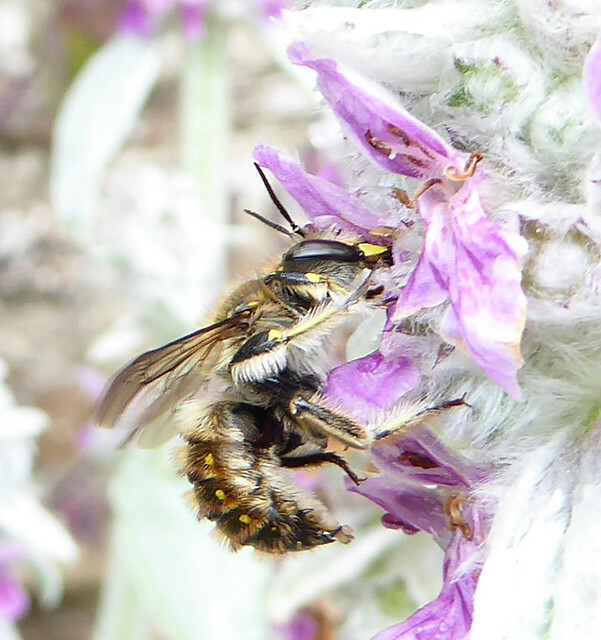 A female would sit on a flower head while a male hovered above her; sometimes another male would hover above the first in a “stack”. 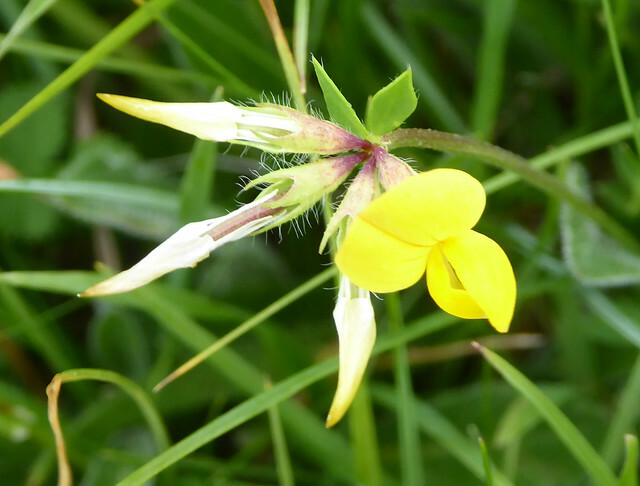 The bright yellow slipper-like flowers of bird’s foot trefoil were also very common in the meadows, sometimes growing so prolifically that the flowers merged into drifts of sunny colour. 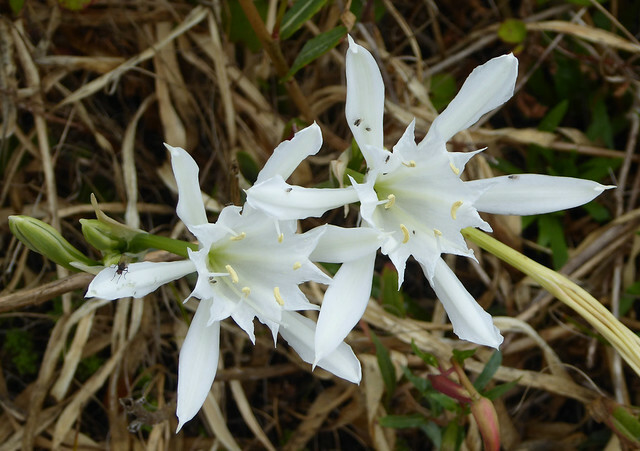 This is such a common flower that we tend to overlook it but perhaps its very familiarity leads to the many popular names attached to the plant such as eggs and bacon, hen and chickens or granny’s toenails. 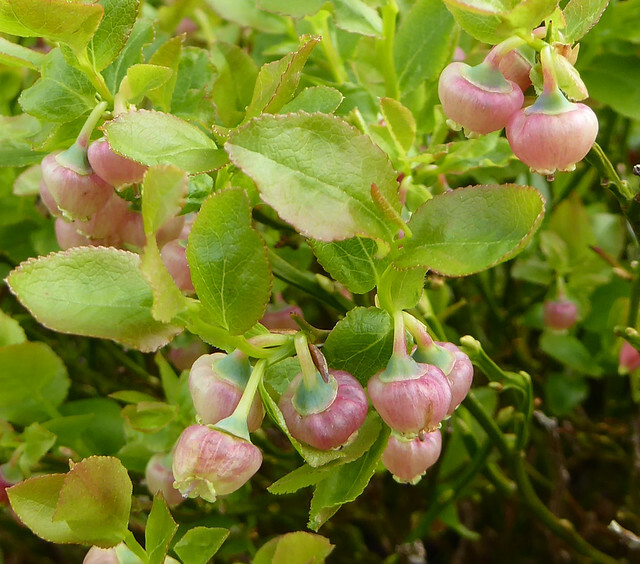 Nick also told us that the plant may have useful anti-worming properties if consumed by sheep. 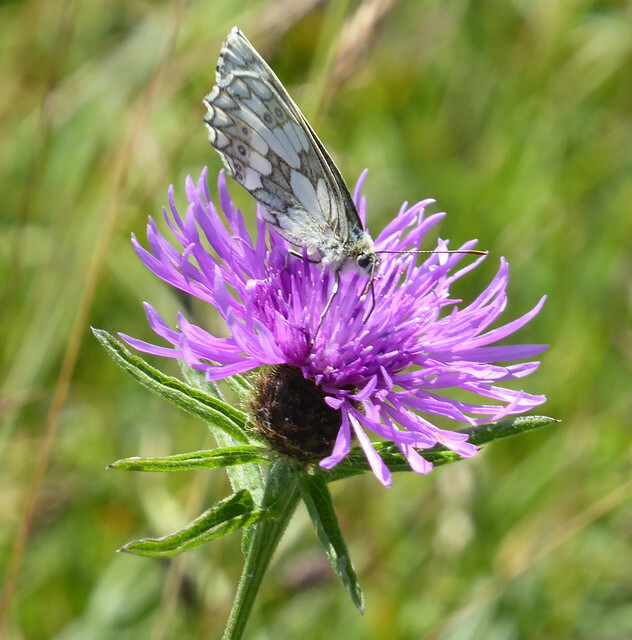 Dotted around the meadows, sometimes in large clumps, were the unruly purple flowers of knapweed. These are popular with nectaring insects and I saw a colourful burnet moth and several marbled white butterflies. 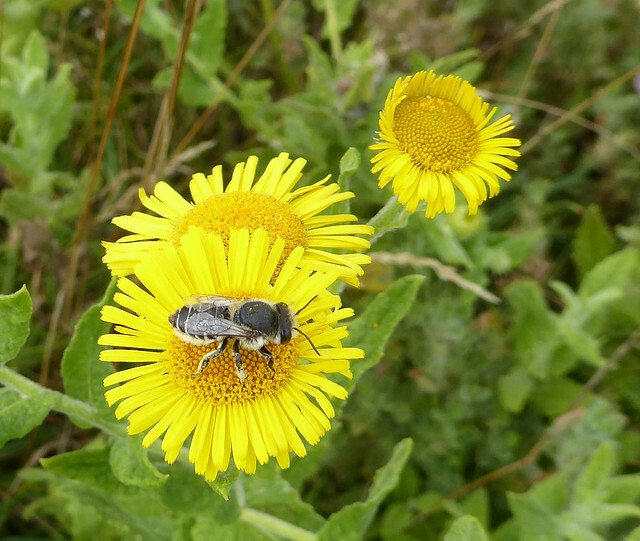 Knapweed is also one of the plants with the popular name of Bachelor’s Buttons and Nick told us how, in the past, young women played a love-divination game with the flower heads. 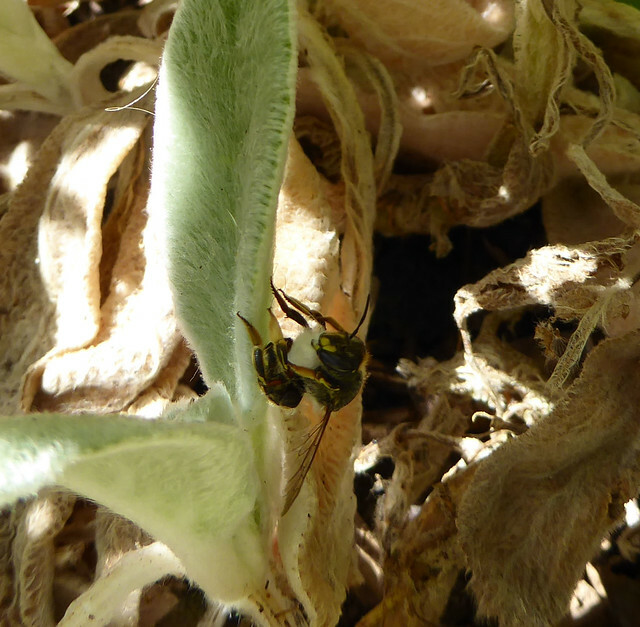 A young woman wanting to know if her affections would be returned took a knapweed flower head and plucked off the open florets. She placed the flower head inside her blouse and if, after an hour, new florets had opened, then her love would be reciprocated. A short walk across open countryside took us southwards towards the centre of the Vale, where we found another large traditionally managed meadow. 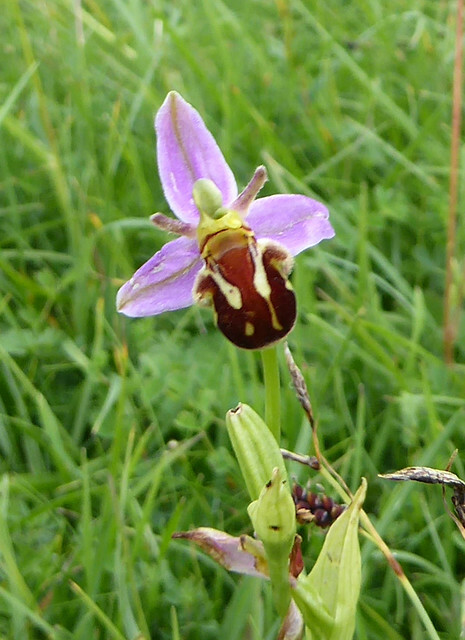 As before, a rich mixture of thick grasses and colourful flowers dominated but I was surprised to find drifts of yellow rattle and a few orchids, looking rather the worse for wear. I began to realise that each meadow has its own character, its own flora, its own colours reflecting the underlying geology and dampness. 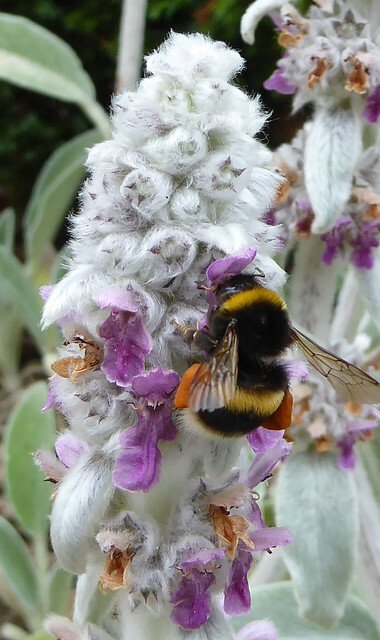 Several recent studies have highlighted the decline of insect and bird life in the UK. Factors contributing to this decline include climate change, habitat loss, pollution and pesticide use. 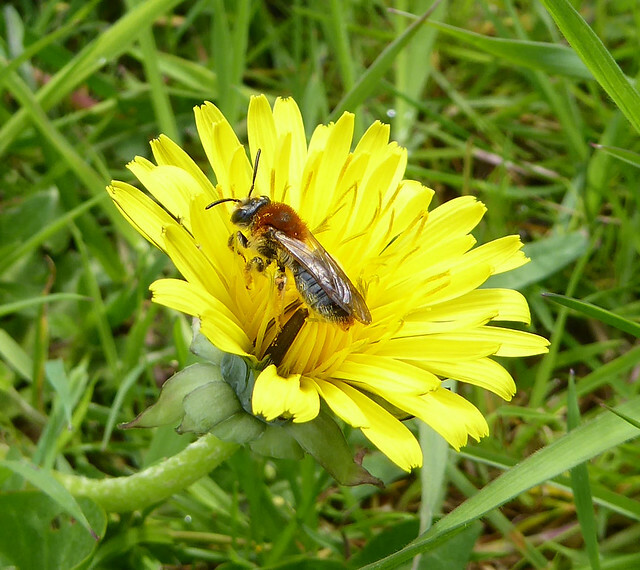 For example, the 97% loss of flower-rich hay meadows in the UK during the 20th century linked to agricultural intensification must have seriously affected insect populations as well as birds dependent on insects for food. Some have gone so far as to suggest that unless we modify farming methods, we shall face “Insect Armageddon”. 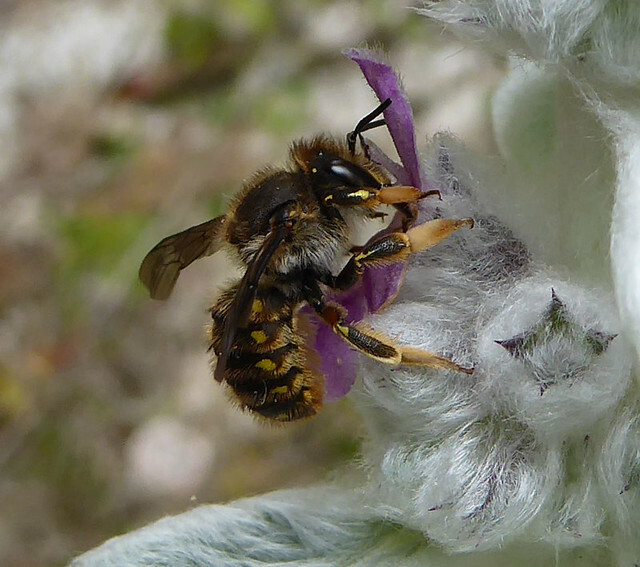 This needs to be taken seriously owing to the important role insects play in, for example, maintaining soil health, digesting waste and pollinating our fruit and flowers. 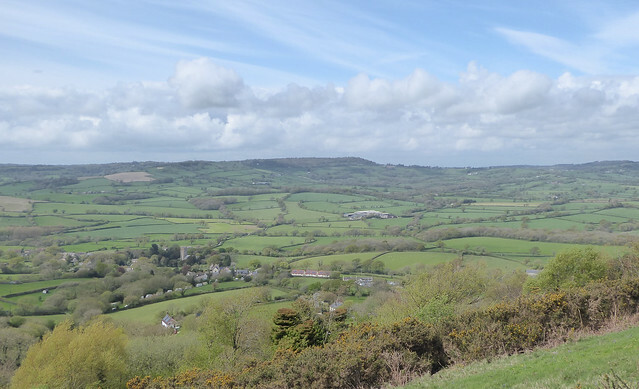 The meadows that I visited last summer in the Marshwood Vale send a positive message showing that, with careful management, these important habitats can be restored to their former glory, supporting insects and providing food for birds. 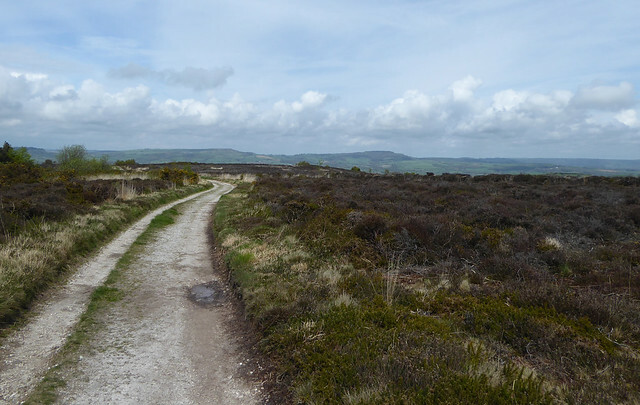 In more good news, the Magical Marshwood Vale Project (funded by National Grid and coordinated by Dorset AONB and Dorset Wildlife Trust) started in 2018 with the aim of enhancing traditional landscape features and helping to reinstate ecologically important wildlife habitats. This includes the restoration of more wildflower meadows. I should like to thank Nick Gray for his advice and enthusiasm. 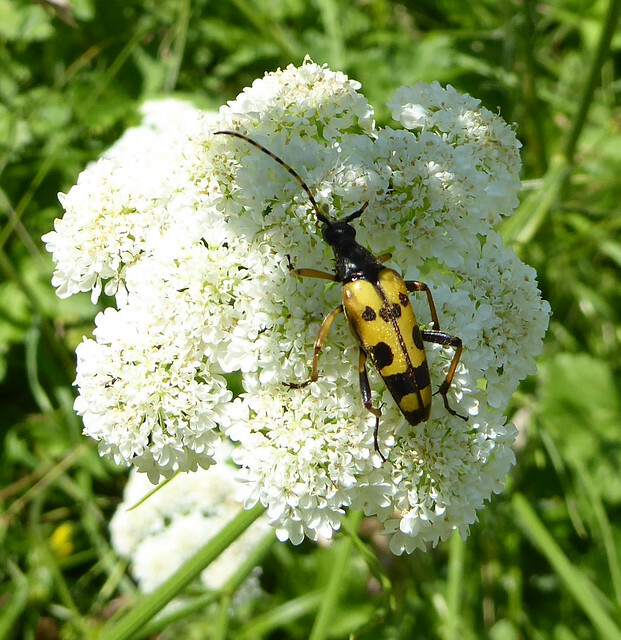 Black and yellow long-horn beetle on corky-fruited water dropwort, The beetle has lost nearly all of one antenna. This article appeared in the January 2019 edition of the Marshwood Vale Magazine. It’s a daffodil, but not as we know it. 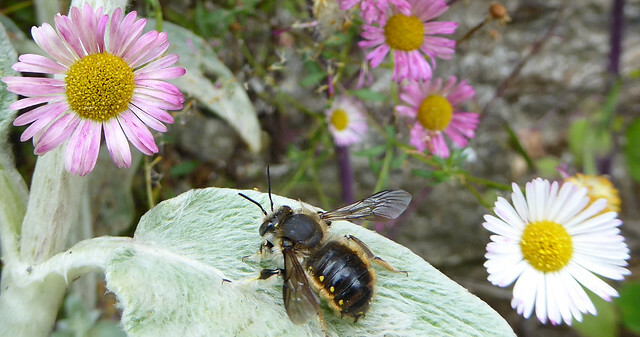 Last week I made the short train journey along the Devon coast to Dawlish Warren hoping to see some of the special late summer flowers that flourish on the nature reserve. Dawlish Warren is also a very popular holiday spot in August and, as I walked from the station, I joined shoals of people making their way to the beach laden with bags and body boards. It was all very good humoured and, as I sat on the promenade drinking my coffee and dodging wasps, children played on the beach below, shrieking as they ran in and out of the water. It was a gentle day with sunshine and cotton wool clouds as I followed the sandy boardwalk away from the promenade across the narrow line of dunes and down to the quiet of the nature reserve. 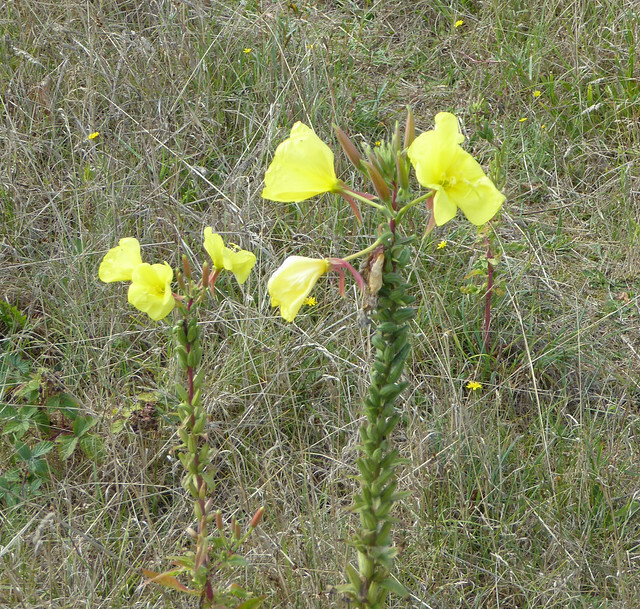 The uneven, wooden walkway meandered across swathes of rough grass where many evening primrose stood on tall reddish-green stems, their papery flowers fluttering in the breeze like clouds of lemon-yellow butterflies. The central part of the reserve used to be a lake, Greenland Lake, long since drained but never really having lost its watery feel. 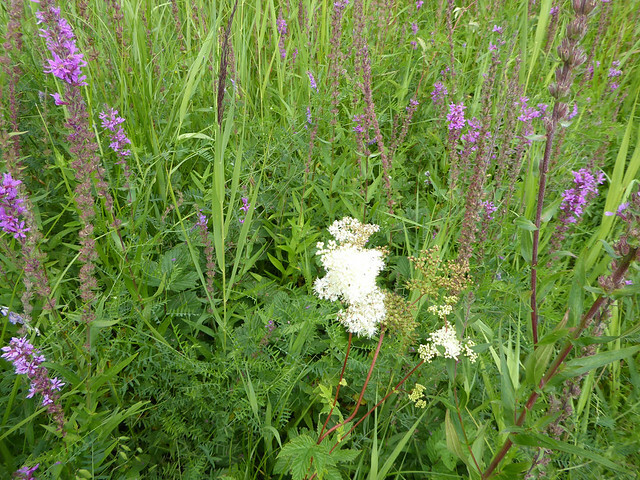 There were still a few puddles remaining after recent heavy rain and the profuse flora was dominated by damp-loving plants, especially tall, thick rushy grasses. 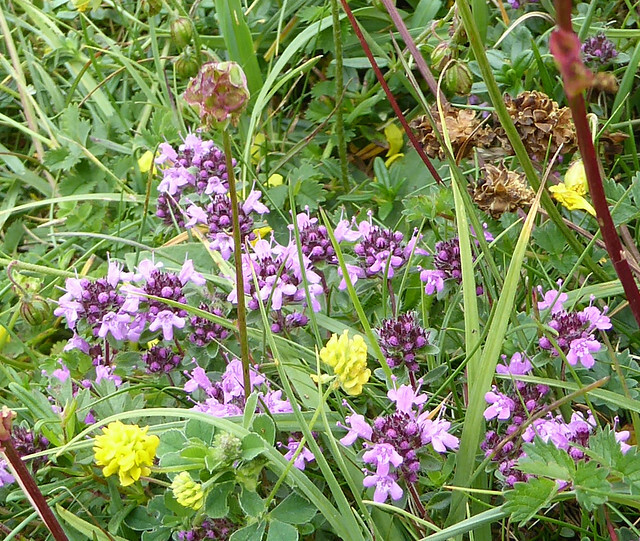 Drifts of purple loosestrife, spiky and colourful, stood above the dark green grassy understory. 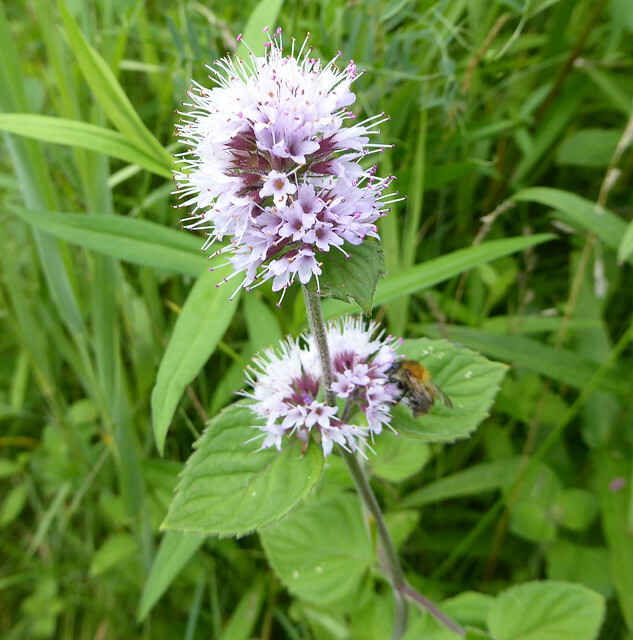 Fluffy lilac globes of water mint and creamy cushions of meadowsweet also shone, along with large numbers of the yellow daisy-like fleabane. 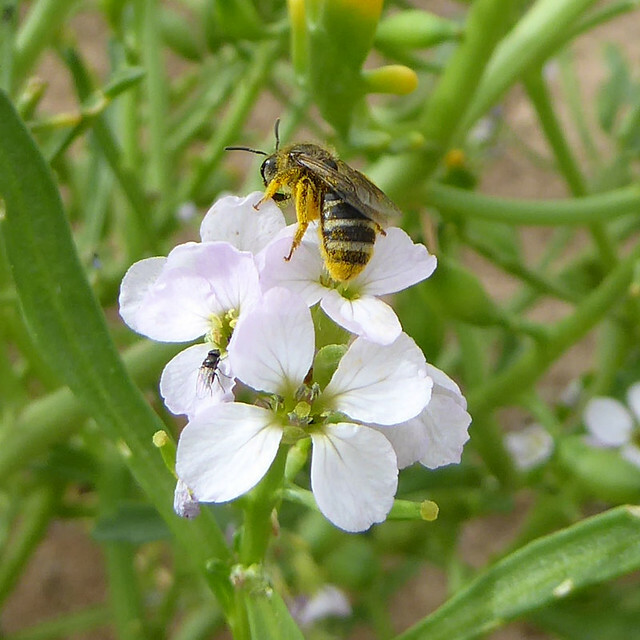 Late season insects enjoyed the many food sources. Further on, as the ground became a little drier and the grass shorter, I was surprised to see one or two spikes of marsh helleborine. They had been flowering in their hundreds when I visited about six weeks previously but I thought they would have been finished by now. These unusual flowers are members of the orchid family and each pinkish flower stem carries several white flowers with delicate pink veins and a frilly lip, backed by pink sepals. 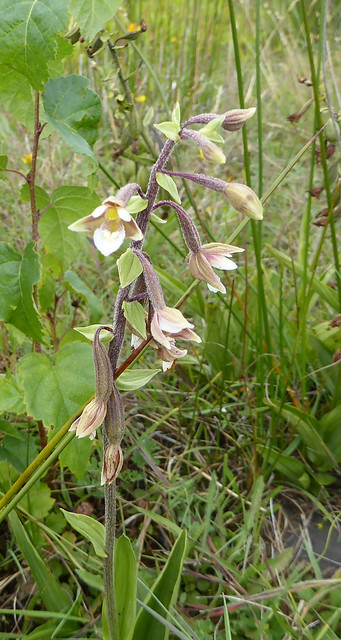 There is something unsettling about marsh helleborine when they appear in large numbers, casting their pale colours across the damp green grassland. 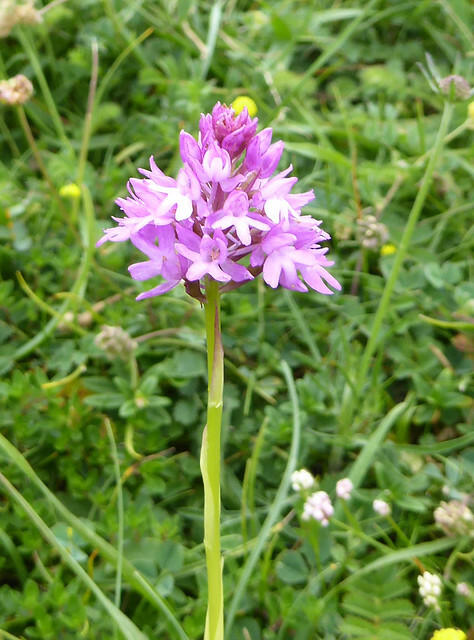 There’s another orchid I have seen growing here in profusion in previous years. It’s the last of the season’s orchids to appear and I had almost given up hope of finding any when, finally, I stumbled across a few. 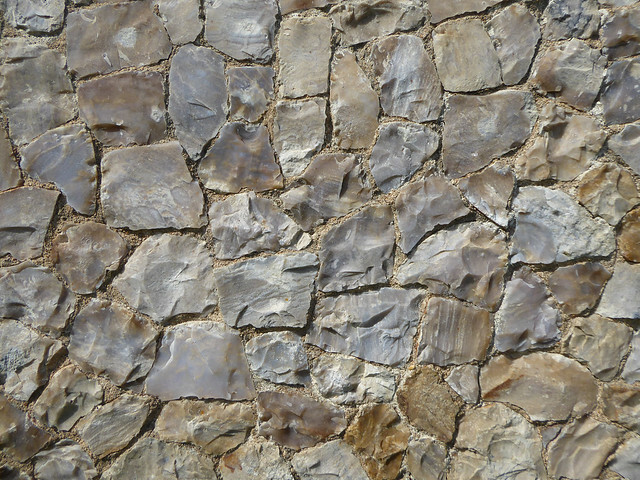 Each vertical spike is very distinctive, a slightly hairy grey-green spiral, looking as though several strands of fine rope had been wound around one other. 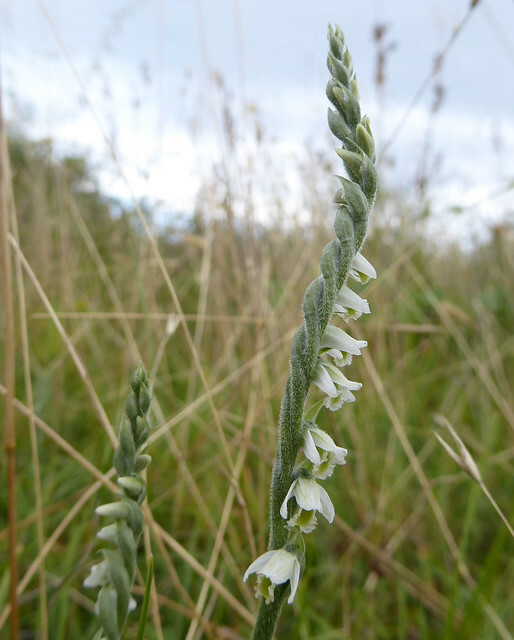 Perhaps it’s just the name, autumn lady’s tresses, but they also remind me of the plaits the girls wove from their long hair when I was at school. The white tubular flowers emerge from this grey-green spiral to decorate the spike in a helical manner, either clockwise or counter clockwise. 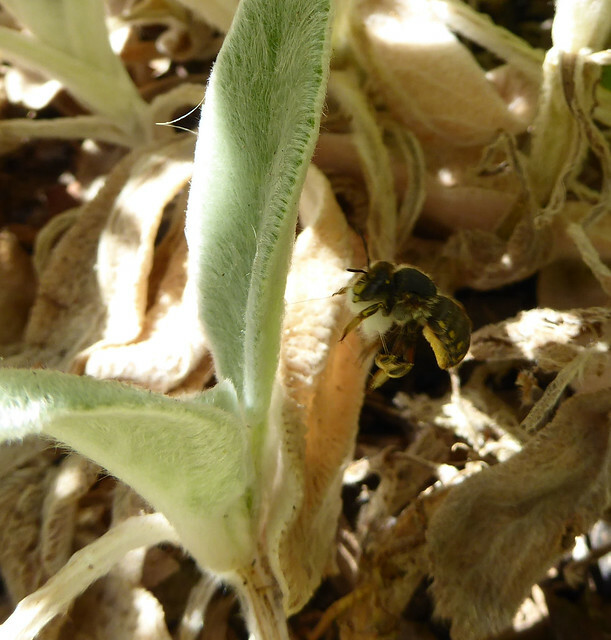 Bumblebees pollinate the flowers and apparently, they prefer the counter clockwise arrangement. My next stop was the inner bay, with its views up the river Exe towards mudflats popular with wading birds. 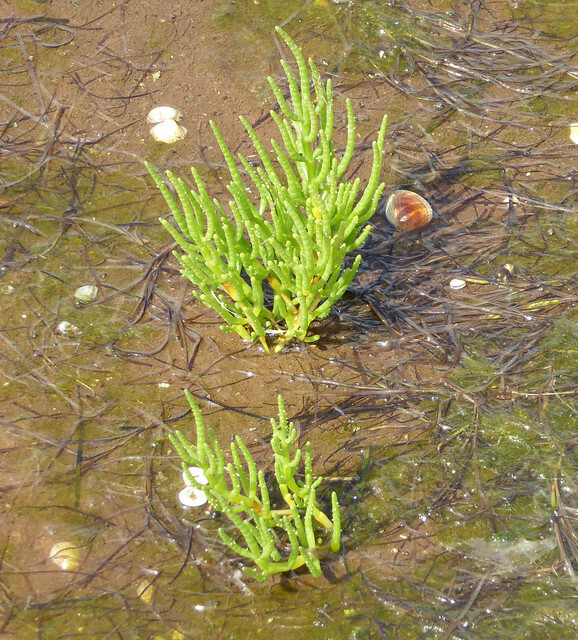 Today the water had retreated, leaving the semi-circular bay a shining sheet of dark mud, revealing many clumps of bright green glasswort (marsh samphire). Groups of glistening, jointed stems pushed up from the mud, their multiple branches resembling miniature versions of the giant cacti often seen in Western Movies. 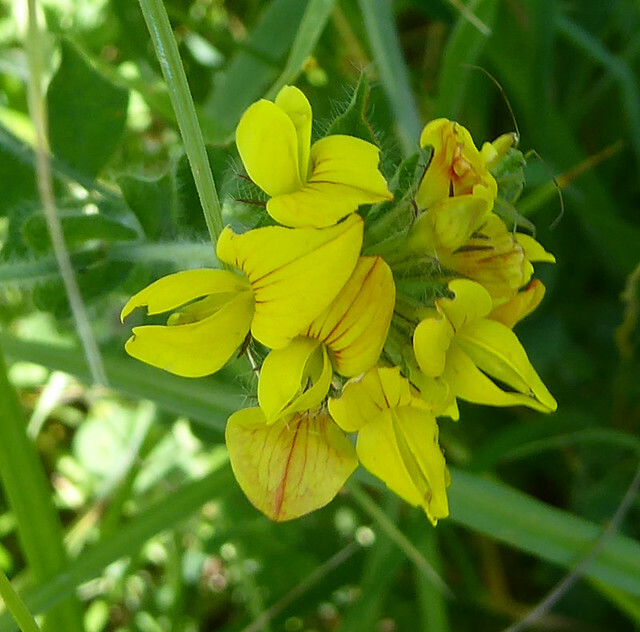 Each stem was also dotted with particles that resembled grains of sand but in fact were tiny yellow flowers. There was quite a bit of woody, reedy debris on the beach although very little plastic at this time of year. I found a suitable log and sat down to have my sandwiches. Boats puttered across the river between Starcross and Exmouth and a few seabirds moved about the mud. Then suddenly, as if from nowhere, a cloud of small grey birds appeared above the bay. There were perhaps as many as two hundred, moving as a group backwards and forwards above the water but continually changing formation, the outer members of the group visibly accelerating before a turn. It felt like a deliberate performance and, as they banked and changed direction, the sun caught their wings transforming them momentarily into mobile shards of silver. Suddenly it was all over and without warning they landed on the beach to my right, disappearing from view as they merged with the mud. Some passing birders told me they were mostly dunlin with a few sanderling. After lunch I pressed on past the inner bay to the fist-shaped end of the sand spit, Warren Point, that nearly reaches the east bank of the Exe at Exmouth, but doesn’t quite make it. This part of the peninsula is fringed by sloping sandy beaches and marram grass-coated dunes but the central area is quite different. Here the land is covered with rough grass and vast mats of the tiny succulent, white stonecrop, a mass of white flowers six weeks ago but now just fleshy green growth. The dry sandy ground also supports unruly clumps of brambles and many shafts of evening primrose topped with yellow flowers. 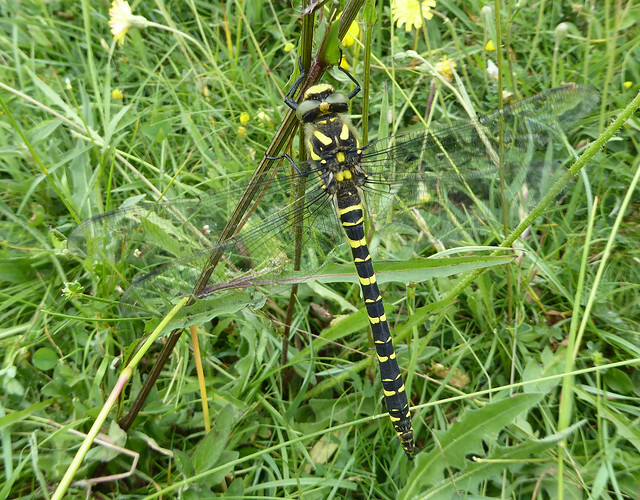 Large blue-green dragonflies swooped backwards and forwards in search of prey. I have to admit that my visit to this part of Warren Point was not entirely unprompted. 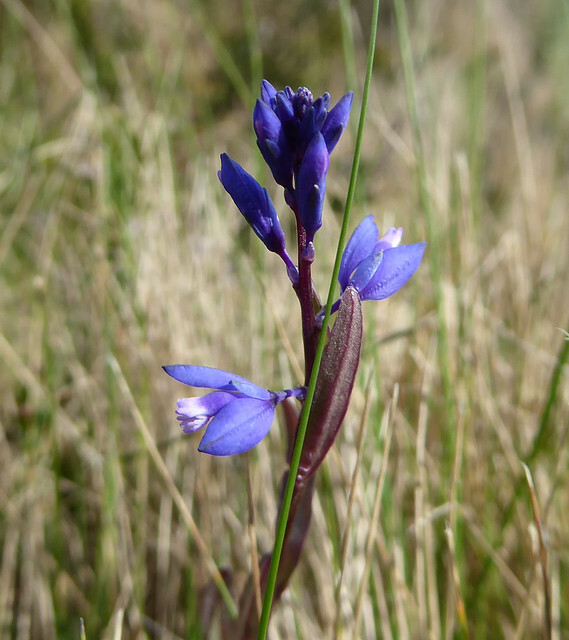 Before I left, I had read about a very rare flower appearing here and, as I passed the information centre, I asked for guidance as to where they might be found. I followed the directions and on a small rise surrounded by rough brambles I found them, several clumps of brilliant white flowers above thick strap-like leaves. These are sea daffodils, found all around the Mediterranean often on sandy beaches but very rare in this country. 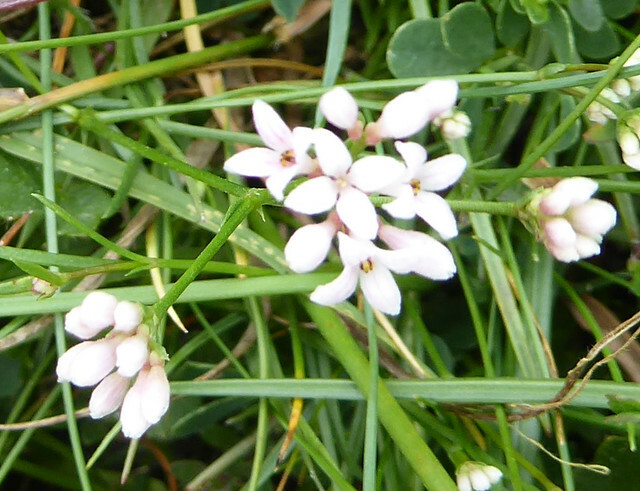 There are only three sites where these plants flower in the UK and Dawlish Warren is one. 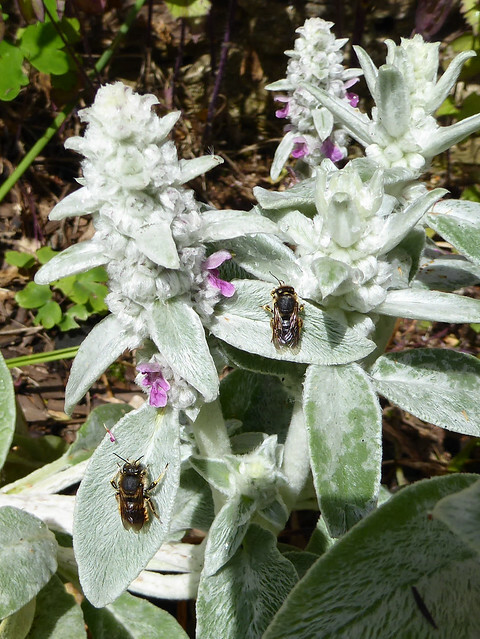 In groups, the flowers look very spiky and disorganised but closer examination reveals the true beauty of the blooms. 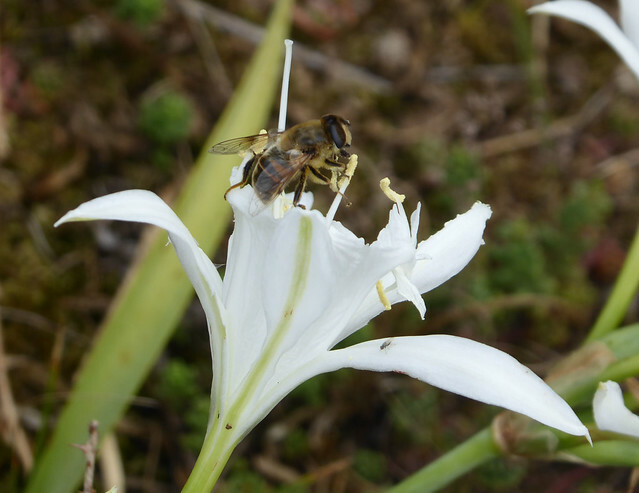 Each flower has a very large white corona, trumpet-like with a deeply serrated edge, containing six prominent yellow pollen-loaded stamens around a long white style. Behind the corona are six narrow sepals arranged symmetrically like a white star. As I stood examining the flowers a light breeze wafted their sweet fragrance up to me. I was so entranced that I failed to notice a rabbit hole and nearly fell over; it’s not called Dawlish Warren for nothing. Sea daffodils clearly do resemble the flowers that are such potent symbols of spring in this country, but it is the late summer flowering of the sea daffodil that is so disconcerting. 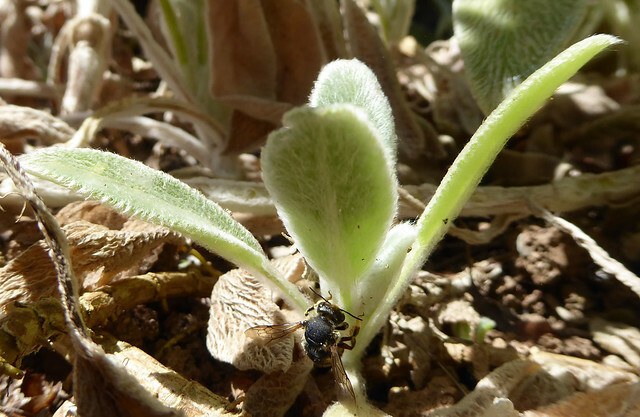 They are also plants of very hot climates. The Dawlish Warren specimens failed to flower last year and there has been some speculation that with this year’s long, hot, dry summer the plants felt more at home.